Wander Management Systems consist of RFID-enabled technology that tracks patients within set borders to guarantee their protection within hospitals, nursing homes and senior living homes. Wander guard is specifically designed for Alzheimer and dementia patients allowing them to have freedom within their resident facilities while giving them essential security. By utilizing the patient wandering system, medical staff is able to monitor these patients while attending to other responsibilities. Medical facilities housing those with Alzheimer’s and dementia risk losing patients’ locations during busy hours of the day. By placing RFID-enabled wandering bracelets on each patient, these facilities can minimize the possibilities of losing the location of their patients. Wander Management does not eliminate Alzheimer and dementia wandering, but instead allows these patients to enjoy a level of independence within the bounds of the facility. With Wander Management, staff can easily manage each patient’s location even during the busiest hours. Wander Management Systems should be used in medical facilities not only to provide patient security, but because they are also cost efficient, adaptable and dependable. Two low cost Wander Management products available are the Accutech ResidentGuard LC 1200 and the Accutech LS 2400. These wanderguard products can be adapted to meet the needs of any facility. They are even compatible with other security systems that may already be in use. Wander Management is a reliable system that will continue to function properly amidst other electronic signals within a facility. The number of patients with Alzheimer’s is continually rising in the United States. In order for facilities to adapt to this growing number, Wander Management Systems provide the needed sense of security for staff, patients and their families. Some additional benefits of Wander Management include staff notification when patients stray into dangerous areas or attempt to leave the facility, easy and quick assignment to new patients, and NFPA, FCC, NEC, CA and ETL compliance. Wander Management Systems will continue to meet the needs of “at-risk” patients as the demand arises. 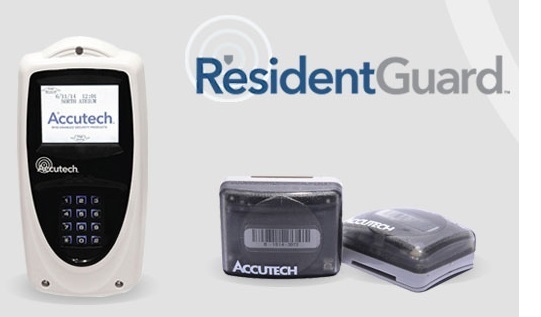 The ResidentGuard LC1200 wander management system is the ideal entry-level solution for facilities that need quick, cost-effective patient wandering capabilities. The LS2400 System is a low cost wander system that provides resident ID, loiter and door-ajar monitoring, low tag battery and several more alerts without the need for a computer. Upon completing the following quote form, your fully customized and complete wandering management system kit will be instantly sent to the email address that you provide. You may call us or place an order directly from the quote PDF that is sent to your email. Always be sure to check your email spam box if your quote has not arrived within 60 seconds of submitting the quote form!